Green Lanterns can create anything they can imagine with their Power Rings! 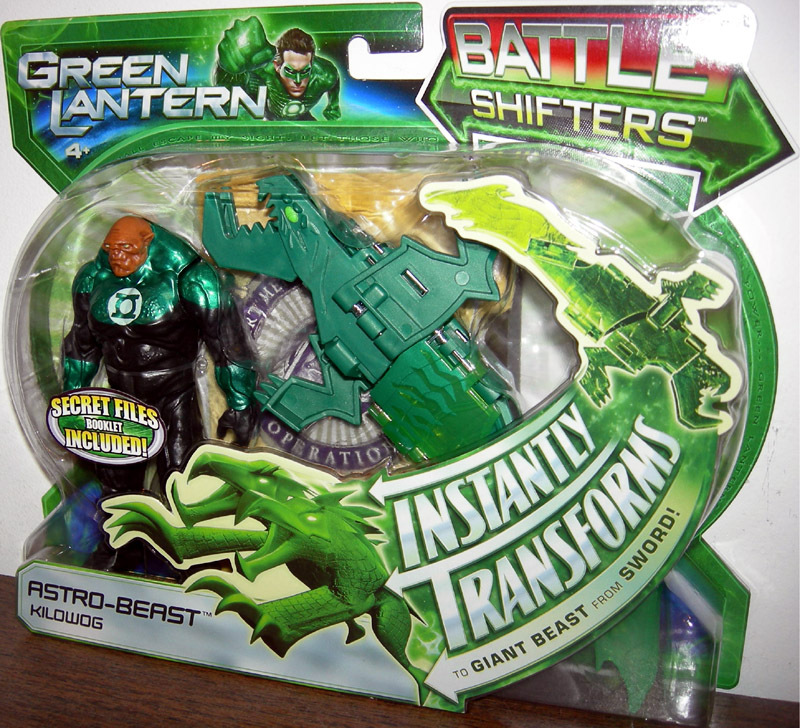 This Kilowog figure uses his ring to make an Astro-Beast construct. The fold-up sword accessory instantly pops out into a fearsome Green Lantern weapon with the flick of a finger. The 4" scale, fully articulated Kilowog figure is ready for battle. Collect all the Battle Shifters figures and defend the universe!